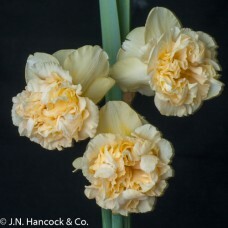 Beautiful unique double bloom; the yellowish trumpet is stuffed with masses of pink blushed inner segments, greenish-yellow petals. Scented. Mid.